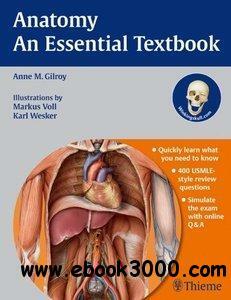 Maximize your study time with Anatomy: An Essential Textbook ! If someone were to tell me I could only keep one anatomy text and/or atlas, this is the one I would choose. Really nice presentation of the information, I love the way the author makes it easier to understand and remember the anatomy [information]. This is really good for students and for specialists who want a nice review.